When people think about pianos they might think about Bach, Beethoven, grandiose concert halls, Elton John, 1989’s “Great Balls of Fire!” film or even where Slash decided to stand and play his guitar solo in the Guns N’ Roses “November Rain” video. One place that usually doesn’t come to mind, however, is libraries. Despite being known as quiet places, libraries all over the world house pianos and maintain piano practice rooms. The Toronto Public Library, for example, has multiple pianos and several practice rooms. Libraries do not keep pianos solely for the purpose of practice, though. 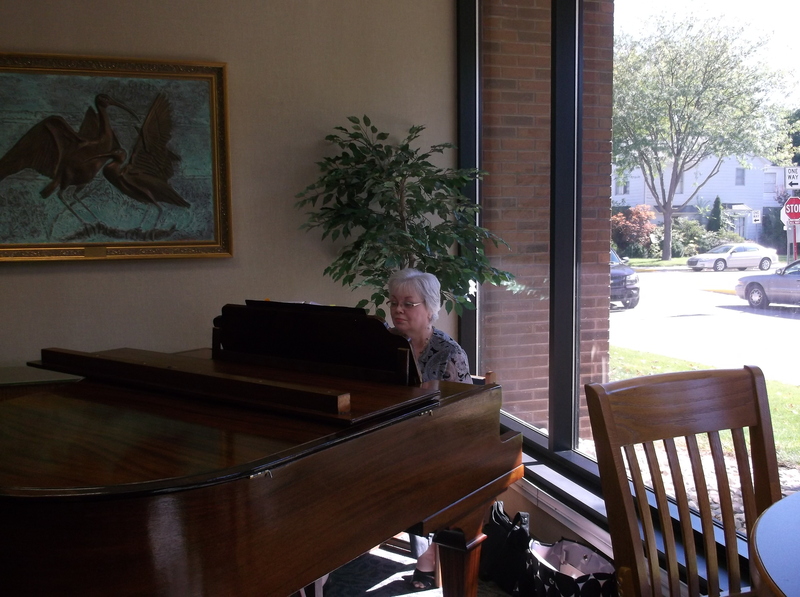 The Woodstock Public Library, in Woodstock, Ill., “welcomes accomplished and talented pianists to play the piano at [their] library.” In this case, the piano is to be played in order to provide pleasant background music for library patrons. No “Chopsticks,” though! Indiana is no exception to the piano rule. Several public libraries in Indiana have their own pianos. “I’m not sure how our upright piano made its way to us, it’s been here at least as long as I’ve been here and that’s been over twelve years,” said Mary Schons, head of information services at the Hammond Public Library in Hammond, Ind. The piano at the Hammond Public Library is primarily used for two programs, the long-running “Welcome to the World of Music,” with Florian Bolsega, which takes place every Wednesday night at 6:30 p.m., and their new program, “Sing Along with Rich,” which happens every last Monday of the month at 10 a.m., in the library’s community room. “While the singalong is for everyone, Rich Boban specializes in working with people who have Alzheimer’s disease and dementia. In January, a mother stopped by with her adult son who has a stroke and is aphasic. The music is helping him recover,” Schons added. 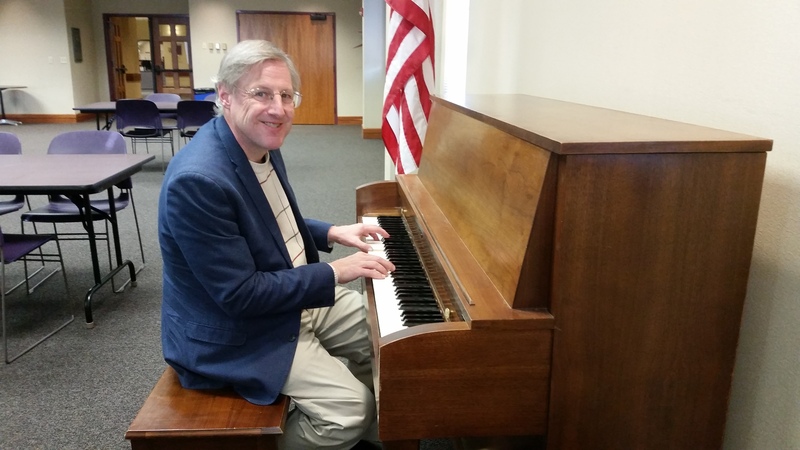 The Adams Public Library System, (APLS) which serves the communities of Decatur and Geneva in Indiana, also has a piano used for programs. APLS hosts monthly Mid-Day Music events, featuring different musicians. As for the piano itself, Kelly Ehinger, director of APLS said, “The piano was a gift to the library and restored by a volunteer.” The piano is also used for special events outside of the regularly-scheduled Mid-Day Music events. Over a decade ago, the West Lafayette Public Library (WLPL) in West Lafayette, Ind. purchased their Sohmer baby grand piano solely with gift funds. The fundraising effort brought together local music teachers, a generous public and the estate of a Purdue University physics teacher. “Since its debut at the library, the Sohmer is in active use by residents who have offered numerous piano, and other musical, recitals each spring and late fall. 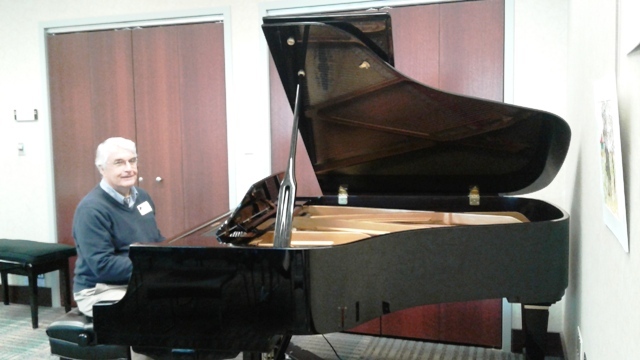 The piano is an active part of public presentations by both the library and community groups being played for art receptions, donor gatherings and the like,” said WLPL director Nick Schenkel. “Perhaps most of all, the baby grand urged our library board president at the time of the piano’s arrival to proclaim that WLPL is a special part of our community because of its ABC focus on arts, books and culture; a proclamation we gladly trumpet to this day,” Schenkel added. WLPL’s baby grand sits proudly in the library’s main meeting room suite awaiting use. This entry was posted in Communications and tagged bach, beethoven, guns n roses, Indiana, Libraries, piano, tom hanks by indianastatelibrary. Bookmark the permalink.